One of my favorite knives! 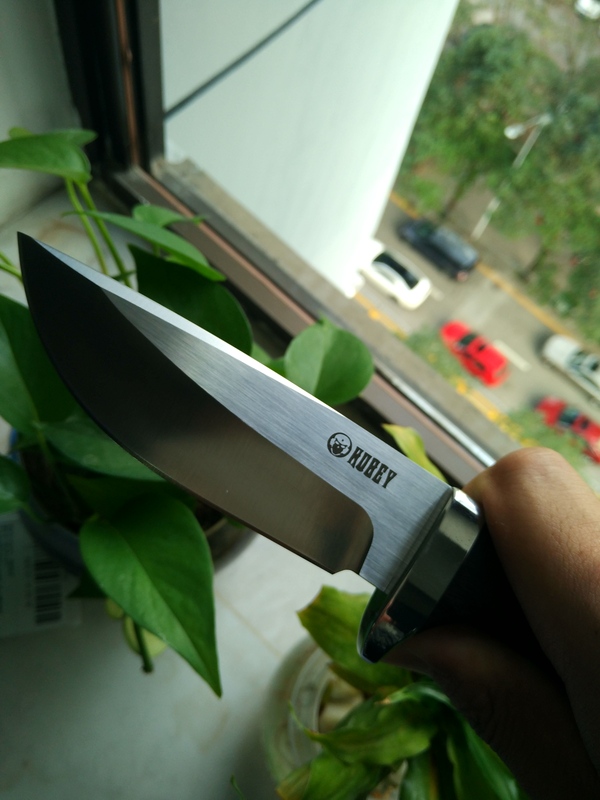 I like this knife very much, its overall shape, its integral keel structure, and the wooden handle. Now I want to share it with you. What do you think about it? 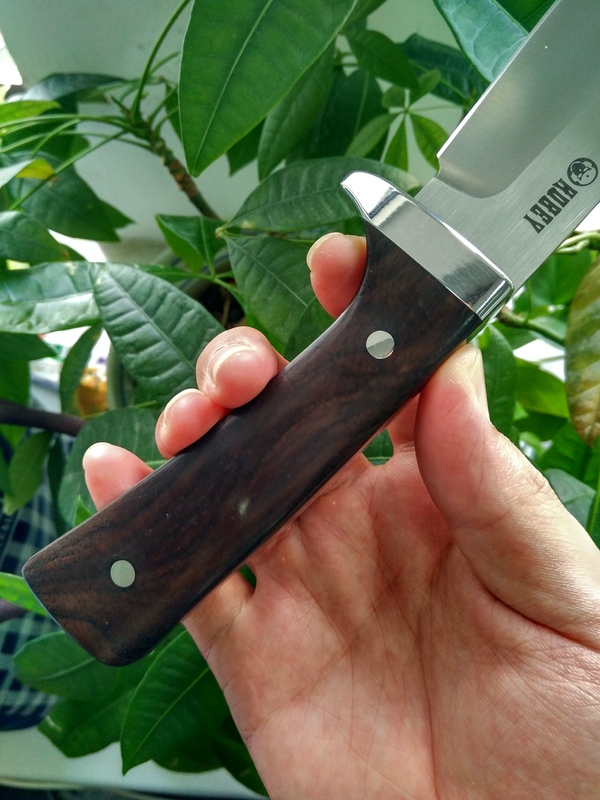 Re: One of my favorite knives! Looks good, I have one of the Kubey folders that is pretty nice although I haven't used it yet. 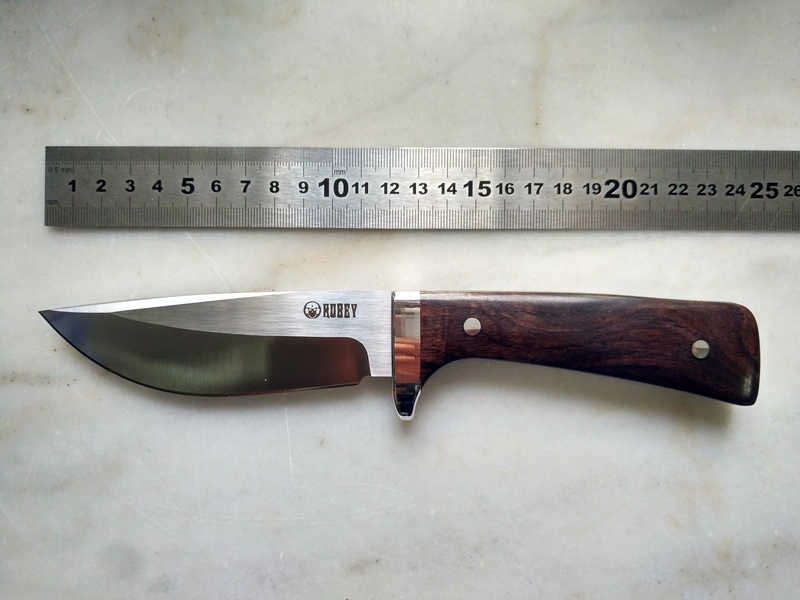 Lovely blade shape for skinning and bushcraft .It also looks sturdy and really well put together . I had a Rory Connor Irish patt. 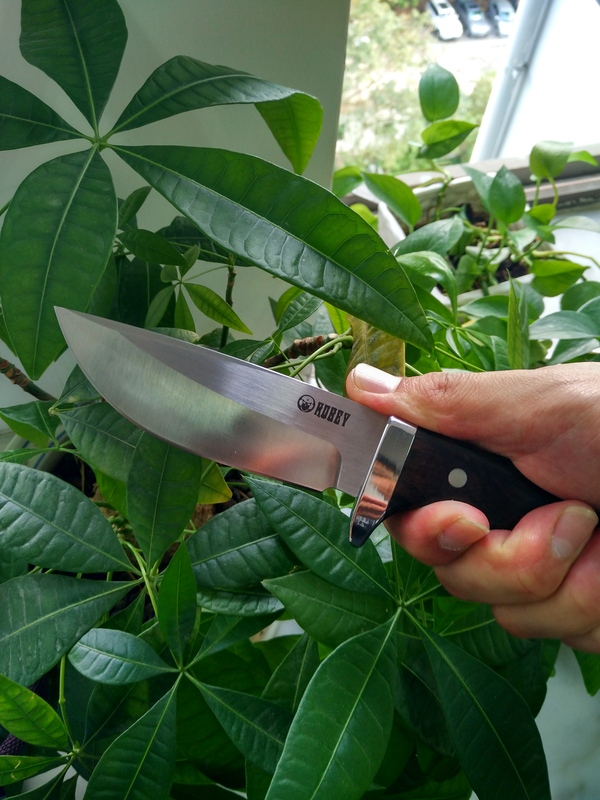 Bowie knife in ATS-34 steel that your knife( although smaller) reminded me....your pics brought back fond memories . penghappy,that look's just right for the hand,and a very good size,Ian,your's is also sweet,I did not know that any knives are made in Ireland,thanx for the info and the pix.